State-of-the-art facilities in particle physics, nuclear physics and light sources are setting increasingly demanding requirements for the accelerators that drive them. And like LCLS-II with the nitrogen doping process, they are swiftly adopting new performance-boosting accelerator technologies to enable them to reach new regimes of beam energy and intensity. To address these challenges, Fermilab SRF scientists hosted a workshop from Nov. 15-17 on the topic of “RF Superconductivity: Pushing Cavity Performance Limits,” bringing in world-class researchers in the field as well as physicists from outside SRF whose expertise is related to the most promising directions for advancing beyond the current state-of-the-art. 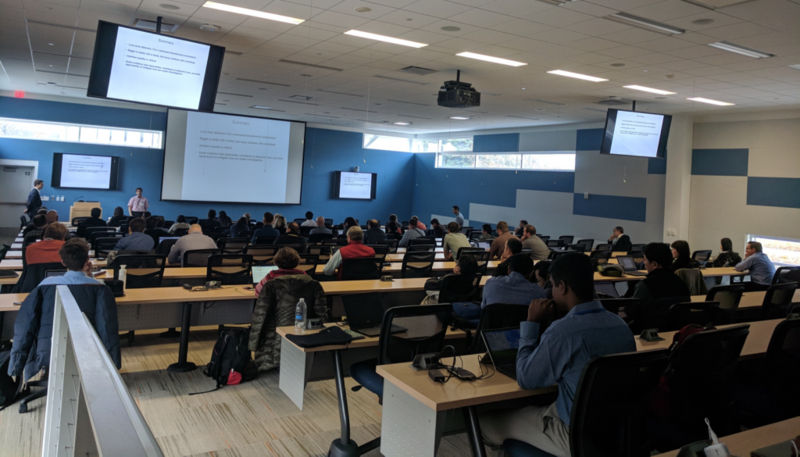 About 90 physicists and engineers from research labs and universities attended the workshop, listening to presentations and participating in lively discussions. 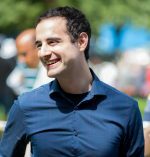 Speakers included experts in quantum computing from the University of Wisconsin — Madison and the University of Chicago in nonequilibrium superconductivity; from SRON in the Netherlands and Northwestern University (already working closely with Fermilab SRF scientists as part of CAPST); and in scanning tunneling microscopy from Temple University. These experts joined scientists from Fermilab, Jefferson Lab, Cornell University, DESY, CERN, KEK, and beyond, who presented the most recent results and pressing problems in RF superconductivity. 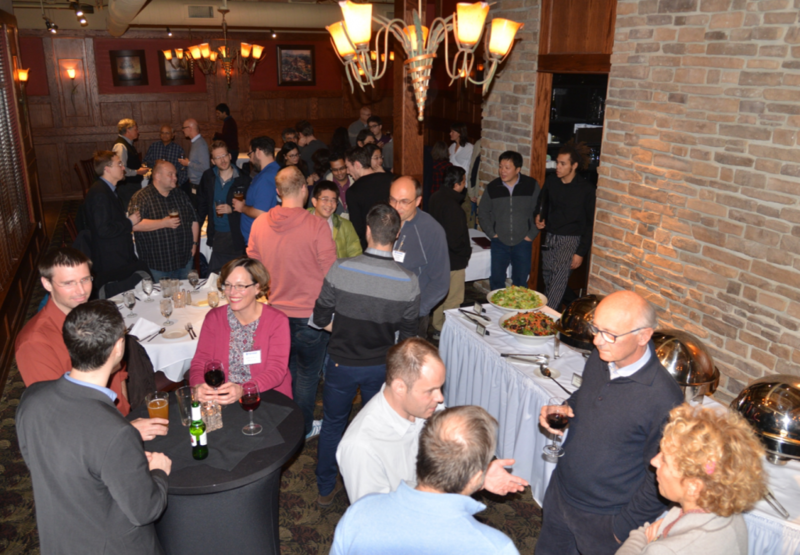 Discussion continued at the workshop dinner, which was held on Nov. 16, thanks to partial support from the Fermi Research Alliance, giving attendees a chance to develop new contacts and strengthen existing collaborations. On Friday morning, attendees toured SRF facilities for cryogenic testing, cryomodule production, materials science studies and Nb3Sn film coating. The workshop supports new initiatives at Fermilab, including budding efforts in superconducting quantum systems, which are bolstered by Fermilab’s strength in high-Q 3-D resonators that can be exploited to dramatically improve the coherence time of qubits. Quantum computing, nonequilibrium superconductivity and several other efforts also are key components of the Fermilab-Northwestern University collaboration under the Center for Applied Physics and Superconducting Technologies (CAPST). The summary session at the end of the workshop brought into focus the key questions to push for progress on, both in experiment and theory. 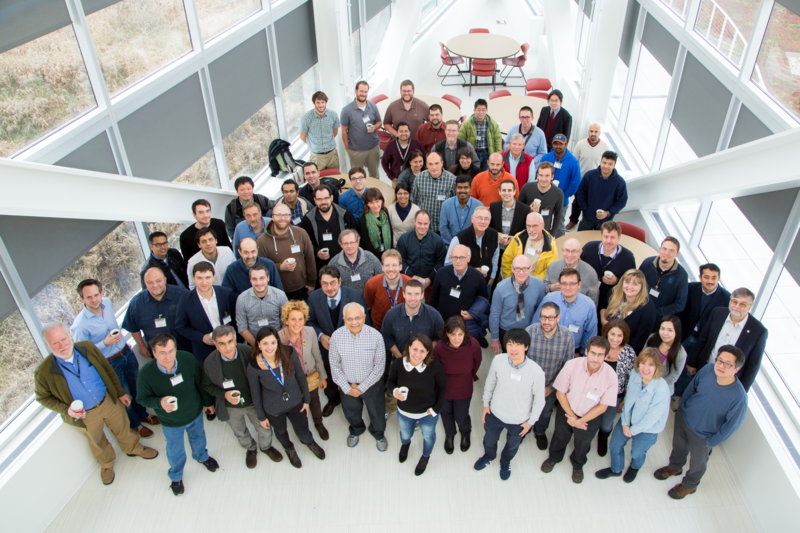 And while some of the attendees may normally work on very different subjects, for three days, everyone in attendance was united in the goal of enabling future accelerator-based science, including high-energy physics in the Fermilab accelerator complex. Sam Posen is a scientist in Technical Division working on developing niobium-tin thin films for accelerating cavities.